At the Shults Law Office, we realize that it can be an overwhelming experience when you find yourself facing allegations of criminal conduct ― especially when you do not know where to turn for help. Importantly, even if you are not a local resident of the Sevierville/Pigeon Forge area, but instead a tourist who finds himself or herself in trouble while visiting one of the many local attractions, we can still help with your criminal defense. Indeed, we have a great deal of experience when it comes to providing legal guidance to those who reside outside of Tennessee, particularly when it comes to the complicated matter of scheduling hearings. Besides criminal defense, we also assist clients in several other areas of the law, including personal injury, family law and Social Security Disability. 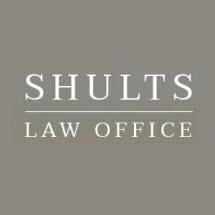 If you have any questions regarding your legal issue and wish to speak to a knowledgeable lawyer, contact the Shults Law Office today for a FREE initial consultation. From our office in Sevierville, we serve clients throughout the surrounding areas, including those in the cities of Pigeon Forge and Gatlinburg. Your case deserves the attention and respect that only a dedicated attorney can provide.